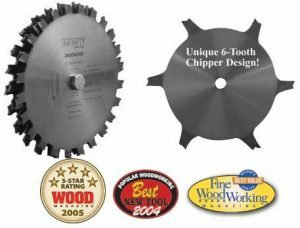 In this Ask Matt we talk about the saw blades that I use in my shop with my table saw and bandsaw. I’m one of those strange people who use a dedicated rip and crosscut blade. For ripping operations, I use a full kerf Glue Line Rip blade from Freud. 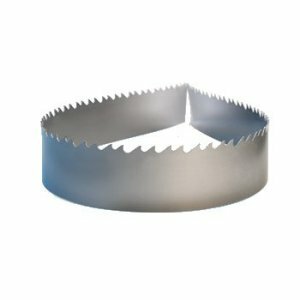 It gives really clean cuts with no saw marks or burning (if stock is fed consistently). For crosscut operations, I use a full kerf Ultimate Cut-Off blade from Freud. It gives perfectly crisp crosscuts with no tearout. The dado blade that I use is the 8″ Dadonator from Infinity. It is an amazing dado blade. It gives very clean cuts for both with and across the grain. It also produces very flat bottom cuts. I keep the same blade in my bandsaw at all times. I have a 1/2″ 3tpi Lenox Tri-Master carbide tipped blade. It’s incredible. What metal cutting blade do you use for your circular saw. Like the one you used when building your sawmill? Hi,I log on to your blogs named “Matt Cremona | What Saw Blades Do You Use? – Ask Matt #15” like every week.Your humoristic style is awesome, keep doing what you’re doing! And you can look our website about free ip proxy.